Orange you after a bargain? - Camille Over the Rainbow - Orange you after a bargain? No black, but nonetheless all solid investments to add to your neutral tally of wardrobe basics. And all at bargain price, since carefully curated from the dark hole that is the internet’s boxing day sale. SHOP THE NET-A-PORTER SALE HERE. SHOP THE MATCHES SALE HERE. SHOP THE MY THERESA SALE HERE. 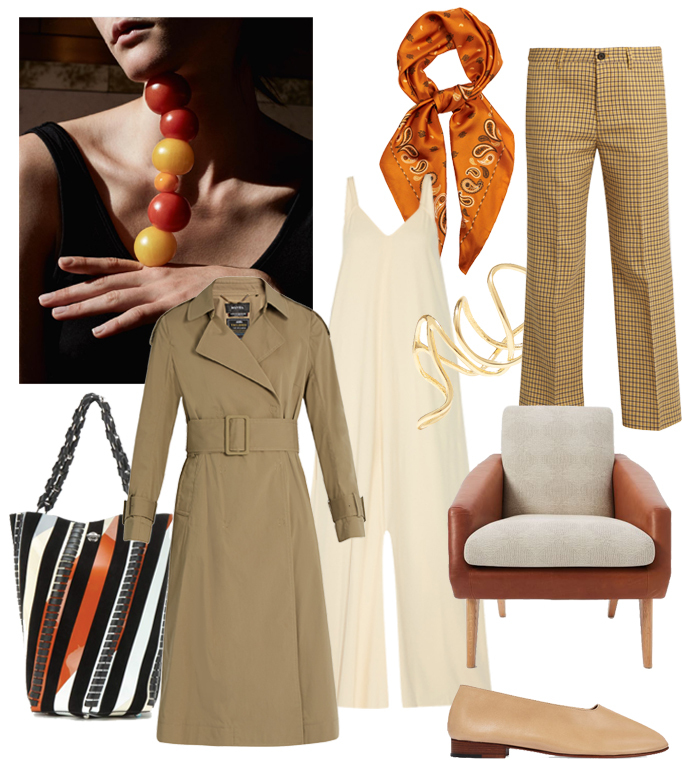 Jumpsuit: Helmut Lang || Off-the-shoulder top: Tibi || Stripe bodysuit: Fleur du Mal || Ear Cuff: Jennifer Fisher || Glove pumps: Martiniano || Armchair: West Elm || Check pants: Miu Miu || Trench Coat: Muveil || Paisley scarf: Ellery || Bag: Proenza Schouler || Shirt: Carven; Ph. Unconditional Magazine.